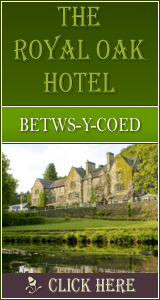 Gaerwen: Accommodation, Attractions, Activities, Going Out, Shopping, Things to Do, Places of Interest, Outdoors, Gaerwen Holidays, Gaerwen Area Location, North Wales. The earliest human settlement is thought to date back to 3,000 BC. During Roman times a building was erected here, possibly a watchtower. In Mediaeval documents, Gaerwen is recorded as a township - a small group of farms assessed for taxation purposes. Its predominantly flat landscapes made it an ideal location for windmills and the shells of two still survive. There is a weekly livestock market and monthly antique and household sales on Gaerwen Industrial Estate (tel: 01248 421582).